We all know the value of green gram sprouts...loaded with protein...rich in vitamins and iron, lowers blood pressure, and especially for vegetarians it is a good source of protein. 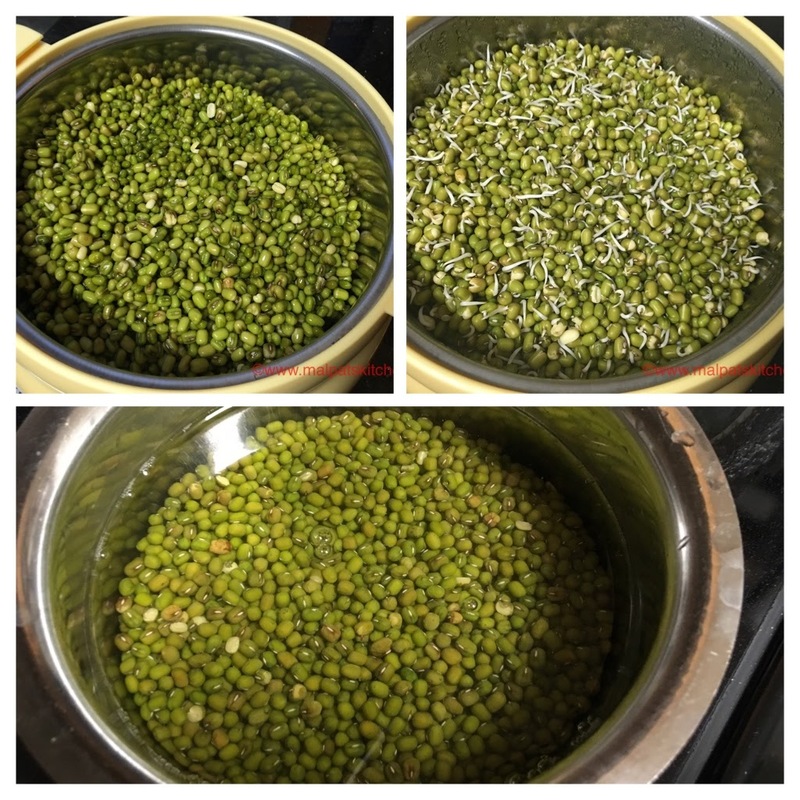 First, green gram has to be sprouted. Soak them overnight, after washing twice in clean water. 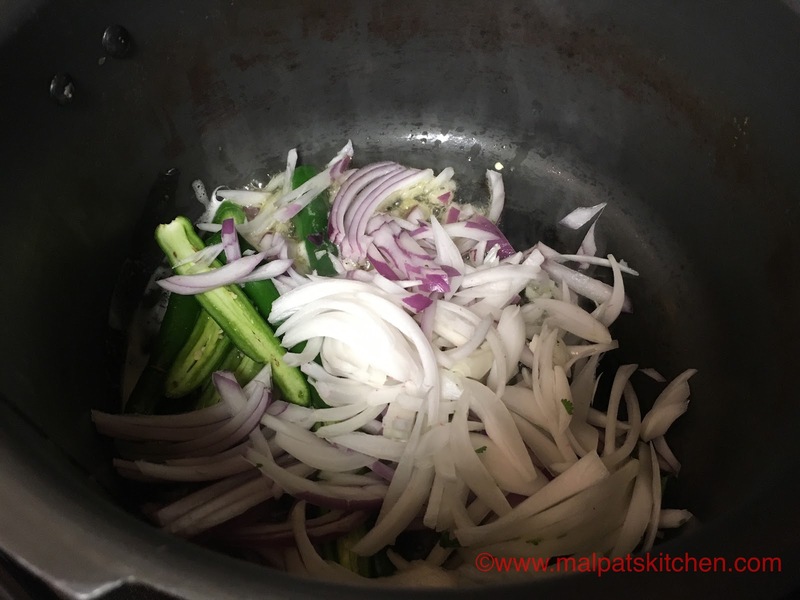 The next day morning, drain them completely without a drop of water, and place them inside a casserole, close the lid, and keep in a dark, shady place. Next day morning, open and see, you can see them well sprouted. If you are not making the khichdi at once, refrigerate them, and use when needed. 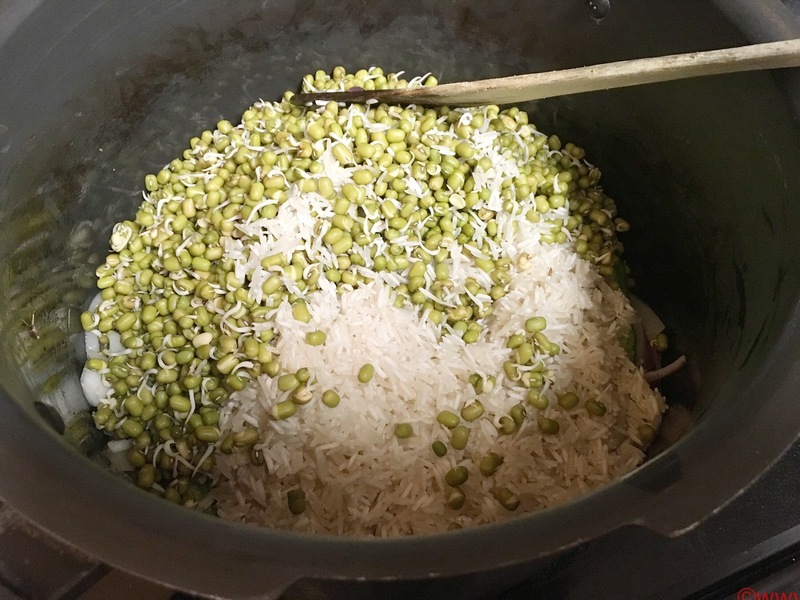 If you have a sprout maker, then you can use that. 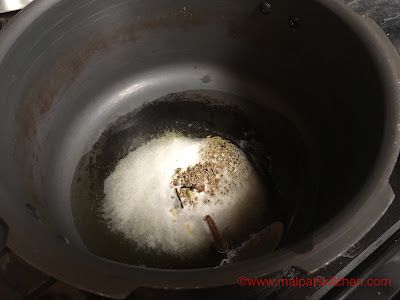 Take a pressure cooker, add oil and ghee, and season all the above mentioned ingredients. Then add the rice, which has been soaked for 15 minutes and drained, and also the sprouts. Boil the measured water, and add. You can either cook for 2 whistles, or close the vent with a small cup(my usual method), and lower the flames, and cook for 10-12 minutes. 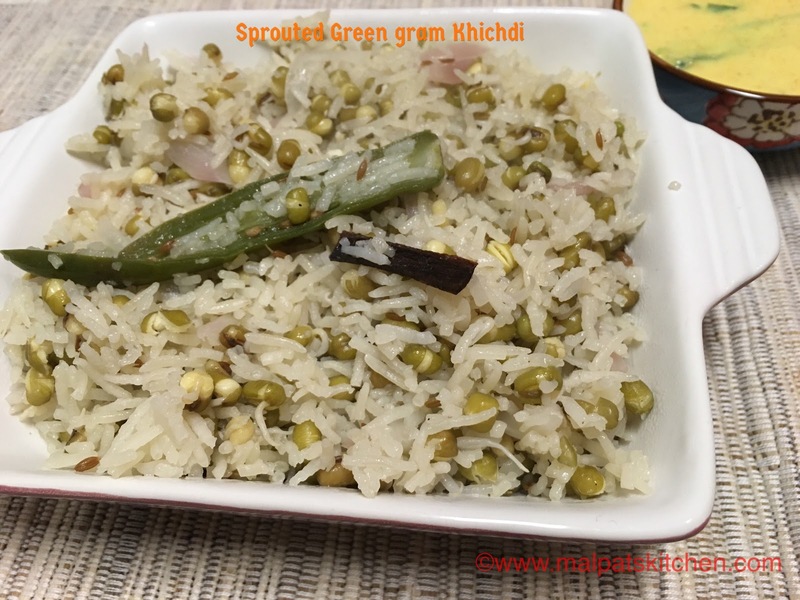 The aromatic, healthy, sprouted khichdi is ready. 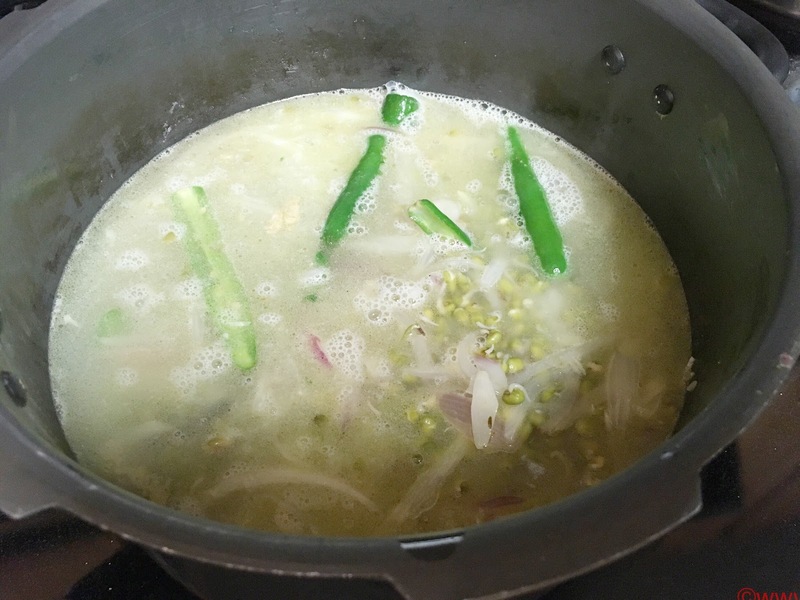 Serve the hot, tasty, and healthy khichdi with Gujarati Kadhi. 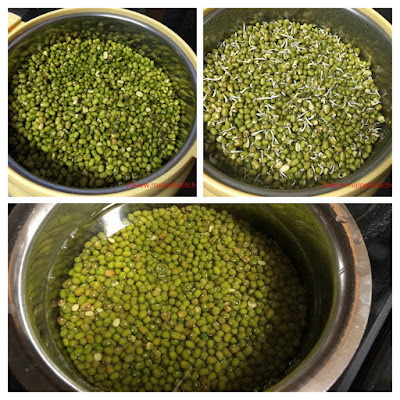 * In case you do not have sprouts, you can use soaked green gram . 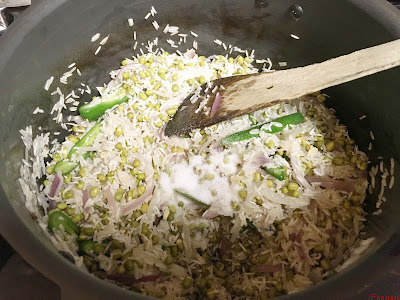 Very sumptious and simple healthy rice. 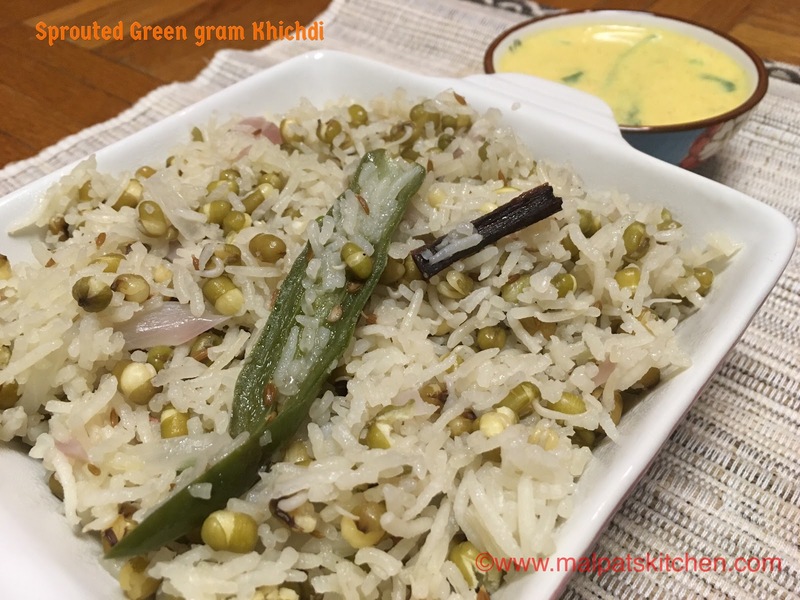 This is a boon to the rice lovers! Very good!